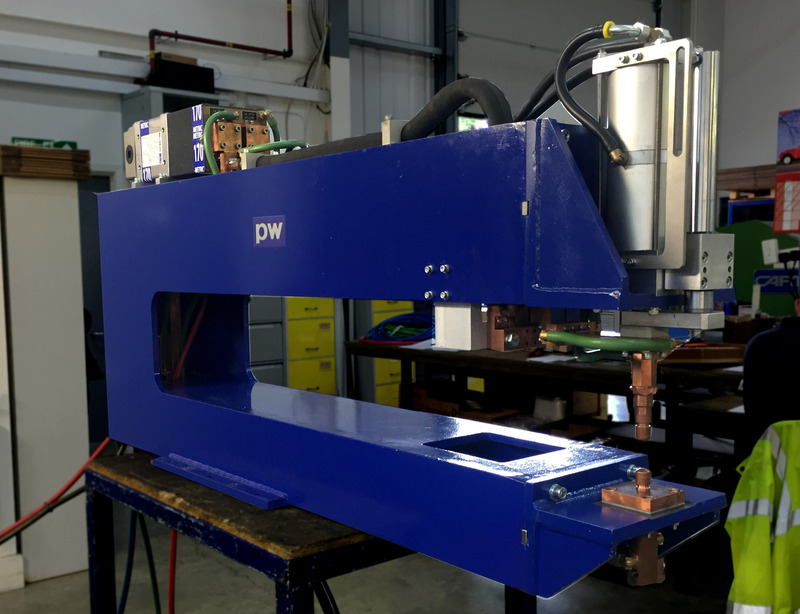 PW has designed and manufactured a special resistance welding system for VOC Holdings BV of Moergestel in the Netherlands. Designed for welding 2 x 2mm stainless steel on a coil line, the weld head has a throat depth of 1.2m and provides weld force of almost 1 tonne from its twin pack weld cylinder, with minimal deflection at the tips. Power comes from an Entron 600A inverter, delivering power to the 170kVA at 1000Hz. The weld power is DC, so losses from the steel frame are minimal.